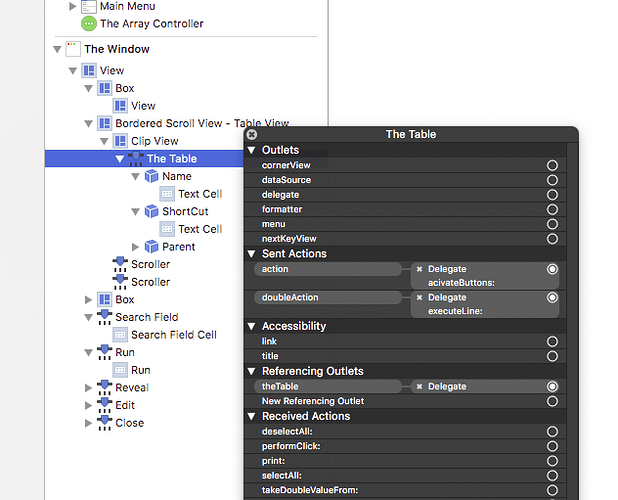 [Xcode] Enabled state of table row - AppleScript in Xcode - Late Night Software Ltd. 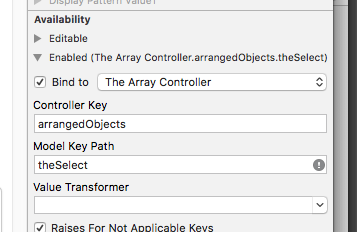 I would like to set the enabled state of a table row in Xcode, depending on the content of one of its cells. I need to make each row which first cell starts with ‘[‘ disabled and not selectable. I like where you’re going with this script. I’m doing something similar with Myriad Tables. 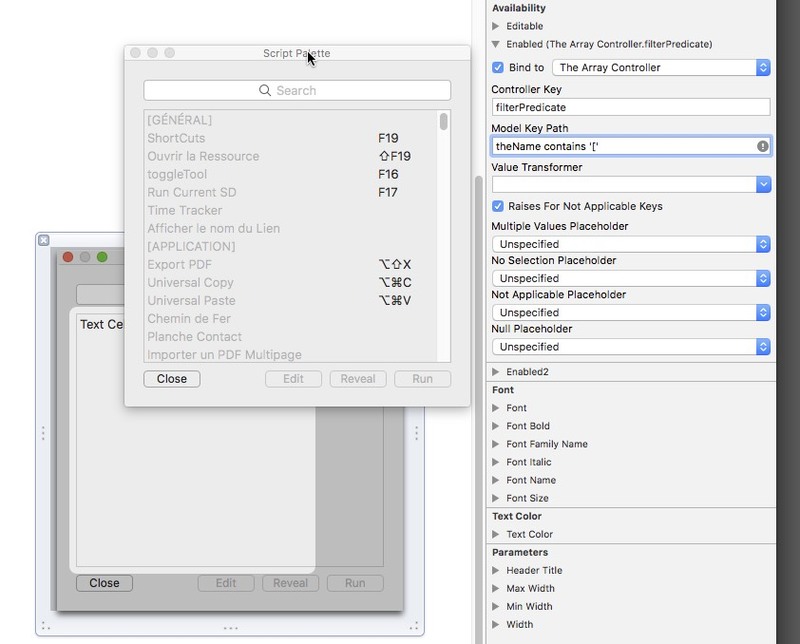 An appleScript palette could be very cool. 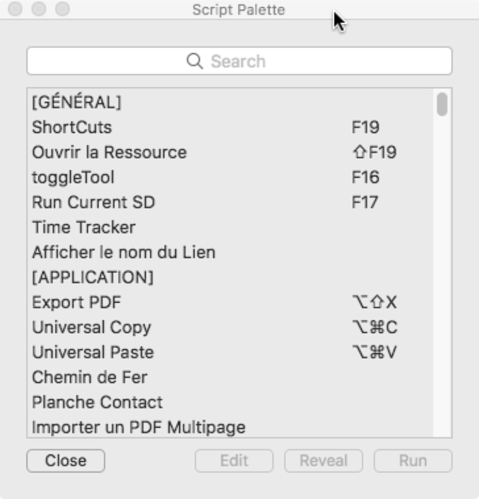 It’s not a script but a Xcode app. The window is a NSPanel that stays above documents. It does not dismiss when a button is clicked. You need to provide more information. Is it a cell-based table or view-based? Are you using bindings or a data-source? Is the info you show in an array of dictionaries? It uses bindings and the info is in a list of records. 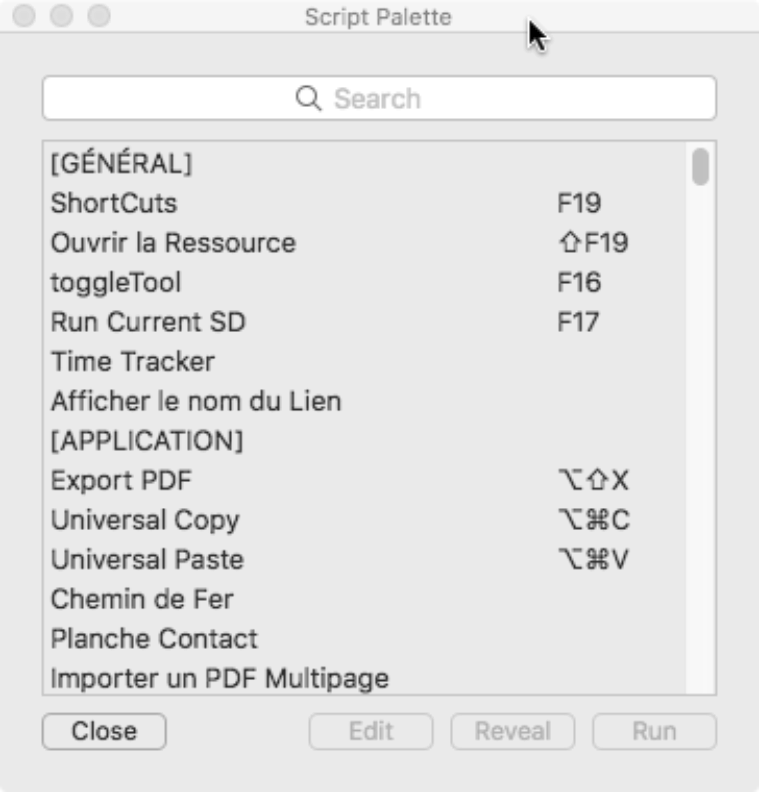 In fact, I started with your « File table » from AppleScriptObjC Explored as a reference. Do I have to bind something to the delegate or just copy/paste your snippet in the AppDelegate script? You need to make your app delegate also the delegate of the table. Drag from delegate in that HUD view to the icon for your app delegate. Every single row is now unselectable. Oops: objectAtIndex:. I’ll amend the post for future lurkers. Ahhhhhh! I’m loosing my eyes! May I ask for a last thing? How to disable the same rows that are not selectable? Or at least their 1st cell (those who’s text content is wrapped in brackets). Assuming you add the canSelect value, you could probably bind the Enabled property of the column to the array controller using that key. 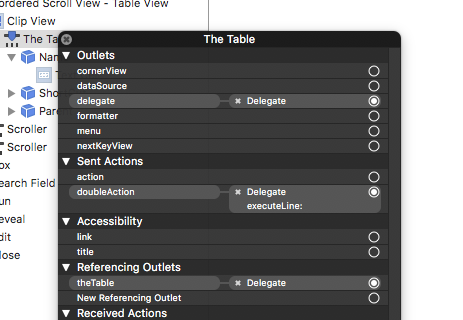 Otherwise you need to implement another delegate method, -tableView:willDisplayCell:forTableColumn:row:, and set enabled or not accordingly. The panel has a dark gray box in background, the view and the table does not draw background, each window item has an “Divide Blend Mode” Core Animation filter. I guess it’s the reason why the binding seems to have no effect. So I’m using the tableView:willDisplayCell:forTableColumn:row: method to change the text color. Shane, I want to thank you again for your willingness to help. Without your books, examples and answers here, I could not achieve this project. I suspect the reason is even simpler: disabling a text field doesn’t change its appearance. In an earlier version I thought that, with the good predicate, I could disable the rows. The entire column was disable because the predicate was badly written and always returning false.